This is much better than original downer, the flow is very nice and better item placement. Could only played with bots (they barely move btw), but the gameplay seems great too, could be a good 1v1 map, there's a lot of routes and shortcuts that can used between item pickups, which is always good for fast paced 1v1 matches. The only thing I'm not sure about, is the textures used, it somehow looks out-of-place visually in the upper levels. I think it would look better if not all textures were all gray-ish and of similar brightness, imo the whole map is lacking in contrast. See aggressor for an example of what I mean (lighter textures with darker trim textures, or the inverse depending on room/area). In particular, right now the gray/green-ish color of brick textures is not very appealing against other gray metal textures of similar brightness. Maybe using rusty or darker metal textures would look better, or replacing the bricks with darker texture would look good against the brighter trims. 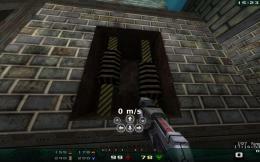 Could this be Xonotic's answer to it's very own darkzone? 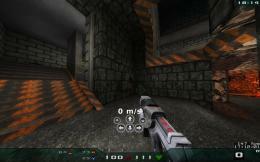 (04-26-2010, 07:06 AM)kojn^ Wrote: Could this be Xonotic's answer to it's very own darkzone? why dont you try this map in a 1on1? Since this is B4 I suppose that it is still beta? So there is more to come maybe? I didn't have time to jump around on it much to comment on the changes (seems subtle, I would need to compare both versions), but my earlier comments still stand about the map visually. The lighting seems fine, it's just the choice of textures. You forgot some... But for the feeling, rounded is really nice! I think now its almost final. So for now thats the final version. I reacted to ever critsim, so i hope the layout and itemplacement is fine for most people. Great Improvement You know your layouts. Some things id like to improve and add detail to. Id also like to add detail to the entire level and remove some sticking points if i could. Wow, I've just played a duel on this map, it is AMAZING. Most Xonotic maps, in my opinion don't work that well with either fuitiex's or samual's balance except stormkeep (no balance discussion here, just pointing out that maps need work), but this one is just perfect. It might be my new favorite duel map. It's so fast and requires good timing to control items, it is very challenging because there are a lot of paths and shortcuts to catch up with your opponent. It is also very easy to learn, I only played one match and am already familiar with weapon placement and the teles. I suppose it would need different visuals, but I really hope it will make it into Xonotic as official map. But whatever you do, please do not touch item placement, because I would whine like a little girl. Also, keep the teleporters as is, they are a lot of fun, don't turn them into warpzones as I think it would break the map because it would make it way too small. I gave it a fast run. 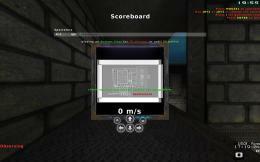 I like the layout, and agree it can be really cool 1v1 map. I think Item layout is fine (tho It's just my impression since I'm not so experienced with Xonotic yet, and didn't playets it really). What I can suggest about IL - it would be good to add another armor somewhere on tha map. If I got things right there is single armor, and that additional big health item,which suppose to be major items on the map, and they will creat gameplay. Usually in 1v1 it's good and desired to have 3 major items. It adds really a lot to the gameplay, and makes a map a lot more balanced. Still good impression on that. Now, please don't take my word in a wrong way, I'm not trying to upset you, but i think the graphical design of the map could be improved a lot. Actually for me it looks like whole texturing is pretty much at beta stage. I think maps has real potential, and would really like to see it with more polished look. Same thing about the lighting. It's always worth to try to push all it's possible from the map. Also, small tip, please name your .pk3 exactly how your .bsp is named. It's a really good habit . (02-14-2011, 04:24 AM)nifrek Wrote: Wow, I've just played a duel on this map, it is AMAZING. 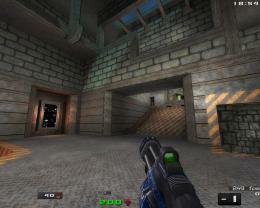 Most Xonotic maps, in my opinion don't work that well with either fuitiex's or samual's balance except stormkeep (no balance discussion here, just pointing out that maps need work), but this one is just perfect. 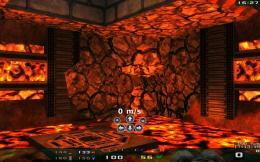 i havent tried this map in xonotic, but bloodrage and red work in xonotic so i assume this one works too. (02-14-2011, 04:24 AM)nifrek Wrote: It might be my new favorite duel map. (02-14-2011, 04:24 AM)nifrek Wrote: It is also very easy to learn, I only played one match and am already familiar with weapon placement and the teles. 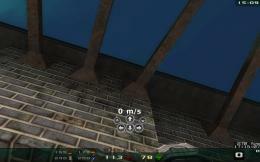 (02-14-2011, 04:24 AM)nifrek Wrote: I suppose it would need different visuals, but I really hope it will make it into Xonotic as official map. 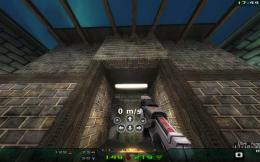 It was NEVER intended to be a official map fo Xonotic. I started with during the aftermath of Samual's quality initiative at the of 2009. (02-14-2011, 04:24 AM)nifrek Wrote: But whatever you do, please do not touch item placement, because I would whine like a little girl. (02-14-2011, 04:45 AM)ShadoW Wrote: I think Item layout is fine (tho It's just my impression since I'm not so experienced with Xonotic yet, and didn't playets it really). What I can suggest about IL - it would be good to add another armor somewhere on tha map. (02-14-2011, 04:45 AM)ShadoW Wrote: If I got things right there is single armor, and that additional big health item,which suppose to be major items on the map, and they will creat gameplay. Usually in 1v1 it's good and desired to have 3 major items. It adds really a lot to the gameplay, and makes a map a lot more balanced. Still good impression on that. (02-14-2011, 04:45 AM)ShadoW Wrote: Now, please don't take my word in a wrong way, I'm not trying to upset you, but i think the graphical design of the map could be improved a lot. Actually for me it looks like whole texturing is pretty much at beta stage. I think maps has real potential, and would really like to see it with more polished look. Same thing about the lighting. It's always worth to try to push all it's possible from the map. Oh, yeah I was aware you released this months ago, but I just got to try it in Xonotic for the first time and thought it was worth that people and devs gave it a second look to maybe turn it into a Xonotic map. But either way, it's playable as is, so I guess it doesn't matter in the end. (02-14-2011, 02:20 PM)nifrek Wrote: Oh, yeah I was aware you released this months ago, but I just got to try it in Xonotic for the first time and thought it was worth that people and devs gave it a second look to maybe turn it into a Xonotic map. But either way, it's playable as is, so I guess it doesn't matter in the end. Also I changed it from 'type' to 'gametype'. did you realized that these modes needs maps with a size this dont have? Keepaway certainly is fine here, I played it on my server. It can easily support a 2v2.